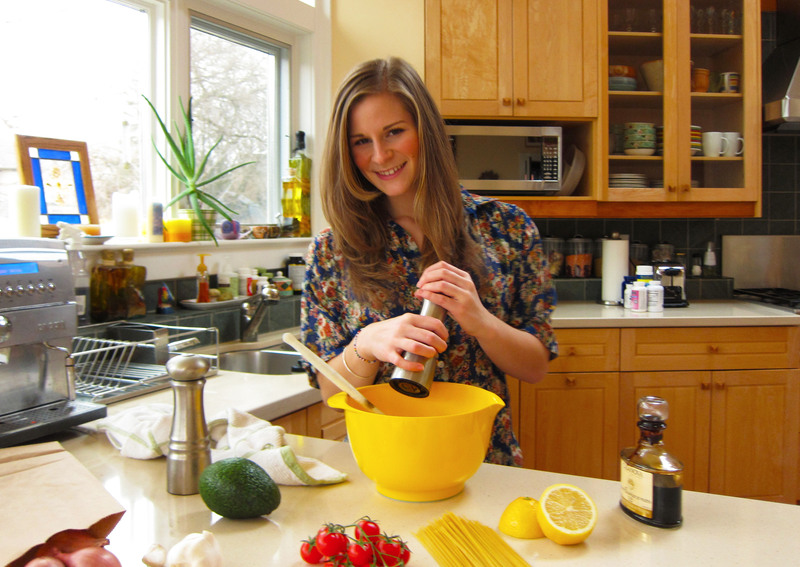 Jordana is a Toronto journalist and avid foodie exploring the lifestyle world. A dancer, former gymnast, and devoted fan of the Toronto Raptors, she has a passion for the environment and is constantly intrigued by the world of health and wellness, whether it involves yoga or a well-rounded organic meal. This vegetarian who eats fish feels most comfortable when she’s in the kitchen surrounded by fresh ingredients waiting to be chopped, fried, baked and boiled. A born-and-raised foodie, Jordana starting cooking with her dad (who learned from his dad) and baking with her mom shortly after she began to walk and talk. She rarely uses a recipe straight from the book and finds inspiration in things she’s learned from her family, friends, television, lots of reading and the occasional cooking or bartending class. She’s the first one to try the new neighbourhood restaurant and will always let people know when she finds a gem. She believes that, even though there are rules in the kitchen, it’s OK to break them sometimes. Jordana Living brings you healthy recipes with simple, seasonal ingredients made for real life – with a touch of luxury. Jordana has worked for Flare Magazine, the National Post and Jim Harris at Strategic Advantage. A graduate of the four-year honours journalism program at the University of King’s College, she specializes in magazine, newspaper and television journalism and production.